Egg cups have become my new favorite Easter obsession. They have such a simple yet charming design and as I have discovered, can have many more uses then just holding hard boiled eggs. My mom sent me these egg cups last week, I can't wait to use them for my easter table setting! 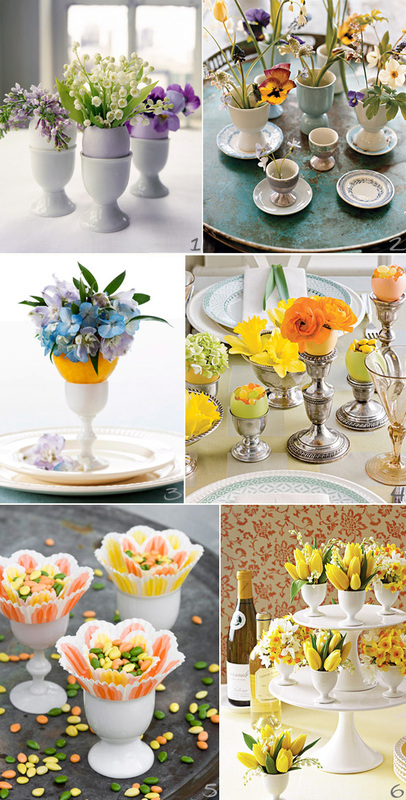 Here are some creative ideas on how to use eggcups that will hopefully inspire you! 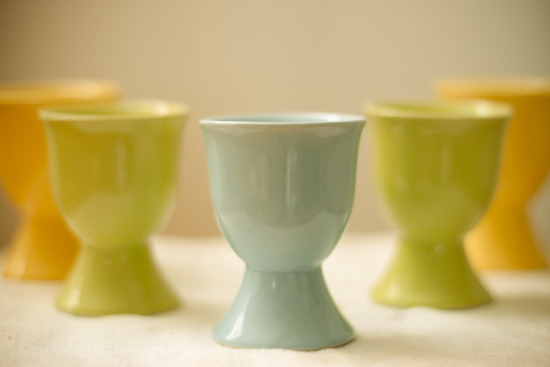 The earliest record of eggcup was found in 3 A.D. in the ruins of the city of Pompeii. I am quite obsessed with egg cups as well this year. The top photo of colors is just gorgeous!